A new scandal has flared in Bulgaria just hours before the arrival of the new year 2013, triggered by reports that illegal construction is going on in a protected coastal area. Bulgarian eco activist, Toma Belev, quickly made headlines Sunday, after posting on his Facebook profile an alert that excavators were destroying dunes in the Kokala (The Bone) site, near the historical town of Nessebar on the southern Bulgarian Black Sea coast, in a protected area from Natura 2000. The investigative Bulgarian Wikileaks partner site Bivol.bg quickly followed with a check that revealed that the lot has been sold to a private individual for an excessively low price by the Ministry of Agriculture. According to Bivol, the site was sold by Agriculture Minister Miroslav Naydenov for BGN 20 per sq.m., much less than the tax assessment of the area, amounting to BGN 50/ sq.m, end of November. The land lot was then quickly re-sold by the private individual for some BGN 140 per sq.m. Belev insists the State has lost nearly BGN 3.5 M from the unfavorable deal. The new owner of the land is the company “Sle Group,” associated with murky Nessebar businessman, Chavdar Alexandrov. The reports prompted senior officials to react in a hurry in the last day of the year. Minister Naydenov stated that as early as January 2 he will issue an order to establish an ad hoc inquiry committee with experts from several institutions and several NGOs to probe the deal. “Definitively nothing has been sold, and the amounts that are being thrown in public space are just non-sense. This procedure has started in 2007; this land plot has been approved and included in the detailed urban plan as a territory for construction. In 2008 there was an order to exclude the plot from the forest fund; in 2009 there was an application for a purchase, and the deal has been finalized on November 22, 2011, with an order signed by Deputy Minister Boyanova. The sale’s amount is BGN 1 141 849.50,” Naydenov said Monday, speaking for the Bulgarian National Radio, BNR. The Head of the National Construction Control Directorate, DNSK, Milka Gecheva, declared the Sunday check has established that there was no ongoing construction on the said lot, while the decision to stop the cleaning activities at the site has been made by the business in charge of them. The Ministry of Environment and Waters also firmly denied environmentalists’ claims that dunes are being destroyed. The Director of the Regional Inspectorate for Environment and Waters in the Black Sea city of Burgas, Boycho Georgiev, insisted the location does not include sand dunes. He was backed regarding this information by the Chief Architect of Nessebar, Valentin Dimov, who, speaking for Nova TV, confirmed the lot did not have dunes. Boycho Georgiev further added that the location has been urbanized in 2007 and there was an assessment that this was not in contradiction with Natura 2000. bTV reported that a probe of the Regional Construction Control Directorate has established that there was a construction permit for the location, but it is not effective yet. The Bulgarian Dnevnik online news agency informs, citing Miroslav Naydenov, who gave an emergency press conference Sunday, that Prime Minister, Boyko Borisov, had ordered DNSK to stop any activities at the site. The Minister told the eco activist that the initial appraisal of the land plot was BGN 300 000, below the tax assessment. The Ministry then had become suspicious and had requested a second appraisal, after which the price had been set at BGN 500 000, which is higher than the tax one, and the sale’s contract was for the latter amount. Naydenov, is yet to explain if and why the buyer immediately sold the terrain for BGN 4 009 451. Belev pledged to keep anyone interested in the story informed about new developments. As Bulgarians prepare to celebrate at midnight Monday into Tuesday the arrival of 2013, President, Rosen Plevneliev is all set to deliver his very first New Year’s Eve televised address to the nation. The tradition of the Head of State to great Bulgarians just minutes before the arrival of the New Year, even though never passed into law, is one of the longest in the country. It was introduced by Alexander Battenberg, the first prince (Knyaz) of modern Bulgaria, after it became liberated from Ottoman rule. At the time it was red by a herald on central squares; later distributed as a poster, read on radio and then on TV. The tradition was kept through the years of the Communist regime and by all presidents of the transition period. For long years during the Communist regime, the address was delivered by Communist dictator and country leader, Todor Zhivkov, prompting a number of clandestine jokes. After Zhivkov and the fall of the regime, Petar Mladenov greeted Bulgarians with the arrival of the new year once, Zhelyu Zhelev – 6 times, Petar Stoyanov – 5 times, and Georgi Parvanov – 10 times, ranking second after Zhivkov so far. 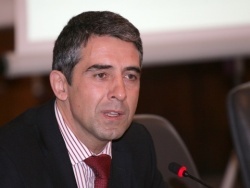 Plervneliev has recorded his address shortly before Christmas, the Bulgarian Trud (Labor) daily reports. The recording has been done for many years now in order to clean it from mistakes and lapses. It is usually written by several of the President’s closest media advisors and PRs, and it is edited several times before it makes the final cut. In 2011, Bulgaria’s outgoing President, Georgi Parvanov, delivered his 10th and last greeting after two terms in office. In it, he called on Bulgarians to overcome pain, triteness and aggression with faith, wisdom and strength. He thanked all for the understanding, trust and support and the honor to be Head of State. If you are thinking of starting a small business, you might care about potential profits. While your skills as an entrepreneur and the quality of your business idea certainly influence what you will earn, so does the industry in which you operate. In fact, as figures from business data aggregator Sageworks Inc. show, small business profitability varies a lot across industries. Using its proprietary database of private company financial statements collected from accountants and financial institutions that supply information on their clients, Sageworks’ analysts provided me with a list of the most and least profitable industries in 2011 for businesses with $5 million or less in sales. As the table below shows, the most profitable industry was “other financial investment activities,” with an average net profit margin of 16.9 percent, while the least profitable was” land subdivision,” with an average net profit margin of -12.4 percent. While the number of industries is too few to draw any firm conclusions, I think they suggest a pattern. You need a license or a lot of training to enter many of the most profitable industries (e.g., law, medicine, accounting, dentistry, real estate). Because more people can enter the least profitable industries, competition may be driving down small businesses’ profit margins in those industries. Keep in mind that net profit margin is just one measure of the attractiveness of an industry to small business. 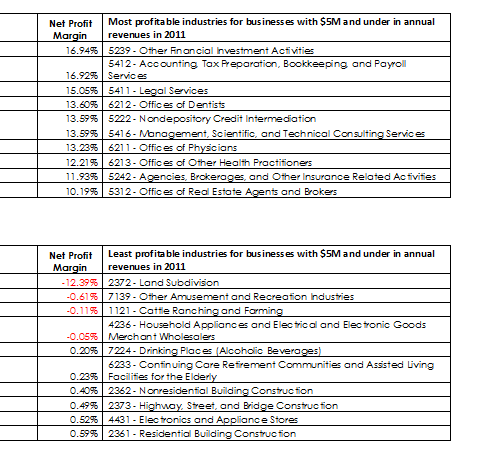 As I have shown before, the industries with the highest margins don’t have the highest average profit per business. In fact, Internal Revenue Service data show a correlation of only 0.09 between the industry’s average annual income for an S Corp and the industry’s average net income as a percentage of sales for a similarly organized company. Nevertheless, knowing high and low margin industries is probably useful to people thinking of starting a small business. The post Most profitable industries for small business appeared first on Small Business Trends. An ordinance introducing specific requirements for dairy products enters into force in Bulgaria on December 31, 2012. 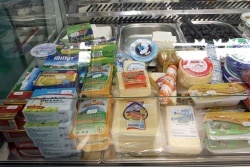 Under the new requirements, a company cannot produce both dairy products and the so-called imitation products containing vegetable fat, investor.bg reminds. Dairy products and ‘imitation dairy products containing milk’ will be sold at separate stands in stores and will be easy to tell apart by their labels. Bulgarian Agriculture Minister Miroslav Naydenov explained a few weeks ago that the ordinance was aimed at protecting consumers’ interests. He said that vegetable fat, especially palm oil, was harmful to people’s health, and people had to be aware what they were consuming. The ordinance stipulates the characteristics of dairy products like cheese, yellow cheese, yoghurt, ayran, curd products, etc. A company will not be able to make both dairy and imitation products but will be able to switch from the one to the other type. In the case of such decision, the company will be required to notify the Bulgarian Food Safety Agency within one day and will be allowed to change production plans once in six months. The ordinance was supposed to take effect in October. However, under requirements of the European Commission, the grace period was extended by the end of 2012. A 27-year old man travelling by car from the Pamporovo winter resort to the southern city of Smolyan has been injured by falling rock. The incident happened at around 1.20 p.m. on Sunday, according to reports of Darik radio. The chunk of road fell on a Renault 19 driven by a 25-year old woman from the village of Borovina. The 27-year old man from Smolyan, who sat next to the driver, suffered a bruise in his right shoulder and cuts to his face. The man refused medical attention. The site of the incident was examined by traffic police officers. 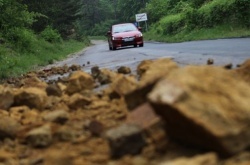 Local authorities in Smolyan have been warning over the past few days that drivers should stay alert and use caution traveling through the area due to landslides. 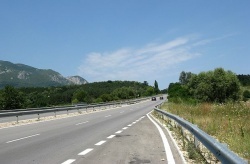 Five companies participating in the construction of the Maritsa Highway have been fined by the General Labor Inspectorate office in the southern district of Haskovo. She specified that five statements of offence had been issued to companies which were not based in Haskovo, the fines ranging from BGN 4000 to BGN 6000. Stoyanova explained that labor inspectors had conducted 179 inspections and detected 514 violations in November 2012. She also made clear that a total of 28 statements of offence had been issued in November 2012, 11 of which involved violations of the health and safety rules at work and 17 involved Labor Code infringements. Stoyanova also noted that a total of 43 penal rulings worth a total of BGN 57 000 had taken effect in November 2012. Vladimir Nikolov has accepted the proposal of head coach Camillo Placi to become manager of the Bulgarian national men volleyball team. Nikolov, former captain of the team, confirmed the news in an interview for TV7, as cited by Sega daily. 35-year Nikolov was invited to become a manager of the national team over a month ago and he gave a positive answer to Placi a few days ago. Nikolov’s office will combine the responsibilities of Nikolay Nikolov, director of the national men volleyball team, and Georgi Sbchev, team manager. Nikolov has no intention of ending his playing career. Nikolov currently plays for Turkish volleyball club Galatasaray. Meanwhile, it was announced Sunday that Bulgarian volleyball coach and former national team captain Plamen Konstantinov was one of the options to replace Russian national volley coach Vladimir Alekno, who resigned several days ago. As we move into 2013, many things are changing. Among those changes is the way some online small business owners and entrepreneurs are monetizing their business Websites. We’ll look at this and other innovations in our New Year’s Eve edition of the small business news roundup. If you think of any trends we’ve missed, be sure to mention them in the comment section below. The post The Wirecutter Represents Sea Change for Online Monetization appeared first on Small Business Trends. Greek retailers registered the lowest Christmas sales for the past 10 years, down by 40% from 2011, according to preliminary estimations. According to reports of the National Confederation of Hellenic Commerce, as cited by the Bulgarian National Radio (BNR), Christmas sales of clothes and footwear fell by 50% from 2011, sales of electric appliances decerased by 40%, and sales of cosmetics and books declined by 30%. Even sales of food products prior to the 2012 Christmas holidays dropped by 20% as compared to 2011. In December 2012, nationwide spending on food and gifts fell by EUR 7.6 billion, as compared to EUR 9.25 billion in December 2011. According to expert forecasts, Greek retailers will report a total turnover of less than EUR 50 billion, compared to EUR 60.5 billion in 2011. Meanwhile, 40% of Romanians said they had allocated less money for the Christmas and New Year Holidays in 2012, 25% of them said they would spend more, and 12% said they could not afford even basic necessities, according to a survey of Romanian Institute for Evaluation and Strategies. You are currently browsing the Business, finances, forex blog archives for December, 2012.